This is called the operating-line equation. It has the form of a straight line: y = mx + b. The slope of the line is the ratio of liquid to vapor flow rates in the stripping section. 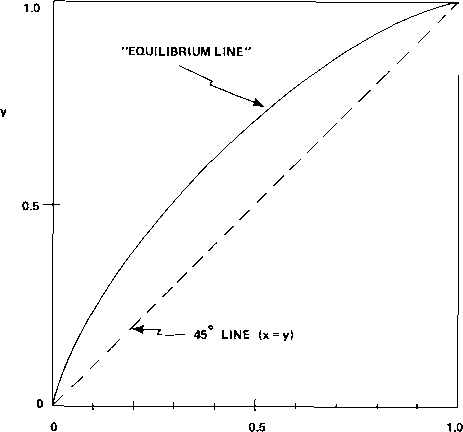 This straight line can be plotted on an x-y diagram (see Figure 2.21).